Peter Chernin is one of Hollywood’s top players and execs. The former senior News Corp. exec is now a movie producer — his first effort “Rise of the Planet of the Apes” is a big hit. But he’s also been increasingly active in media investing in Asia of late and has a lot to say about the global nature of entertainment in the digital age. Yes, people will pay for Web video. 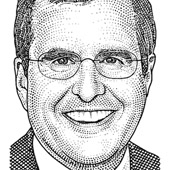 Peter Chernin buys a company that sells video people pay for. Last week Guggenheim offered a billion dollars for the video site. Today it is out. The Chernin Group is taking its first step into distributing its own programming with “Summer Break,” a reality show of sorts that will exist exclusively on social-media sites like Twitter and Tumblr. It’s a bit like breaking wind in the elevator. Everyone suffers.